By Distinctive Styling on February 7, 2018. Posted in Blog. Tagged as home staging. Staging a property shows buyers a home’s potential and sets the mood for buyers to make an offer. This applies to vacant or lived in homes. When a house is vacant, people can’t visualize how they would live in a home, or how they would use the space. With properly styled and sized rental furniture as well as decor, buyers can get a feel if this is the home for them. Without home staging, the vacant property is left empty, cold and uninviting. Any flaws, negative aspects or outdated features are then highlighted for buyers to focus on instead of positive feelings about the home when staged. Home staging is not just for vacant real estate, however. 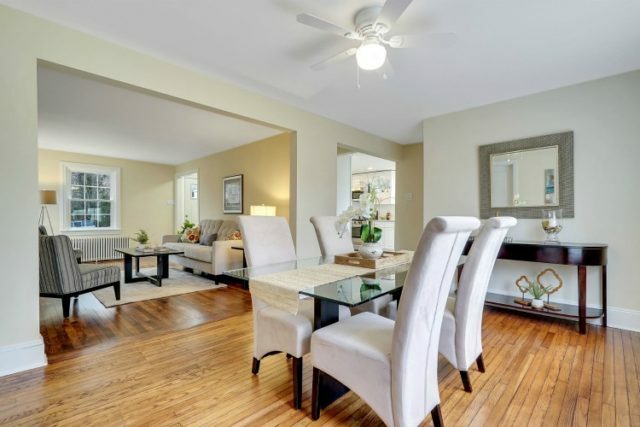 All homeowners could profit from staging before selling even if only through a staging consultation that points out some minor adjustments are needed. Whether a home is vacant or occupied, sellers will benefit from staging to maximize their marketability of the home with better furniture arrangement, room flow, functionality and to correct any areas that will prevent their home from selling for top dollar in the shortest amount of time. Most buyers today desire a home to be move in ready and may overlook homes that appear outdated or require extra money and time to fix up. Homes that are updated, priced right and presented well will appeal to discerning millennial buyers. Staged homes with professional photos will attract buyers to visit the home upon their online search and sets the mood for a successful sale.